Plant Power: Dutch Company Harvests Electricity From Plants to Power Streetlights, Wi-Fi, and Cell Phones « Adafruit Industries – Makers, hackers, artists, designers and engineers! Harvesting energy from growing plants has come a long way since middle school science fair projects featuring clocks run by potatoes. Plant-e’s approach is built on the same principle, but is radically different because it does not require damaging the plant in order to harness its energy. Not only can electricity be generated without harming the plant, but the amount of electricity is actually quite substantial. 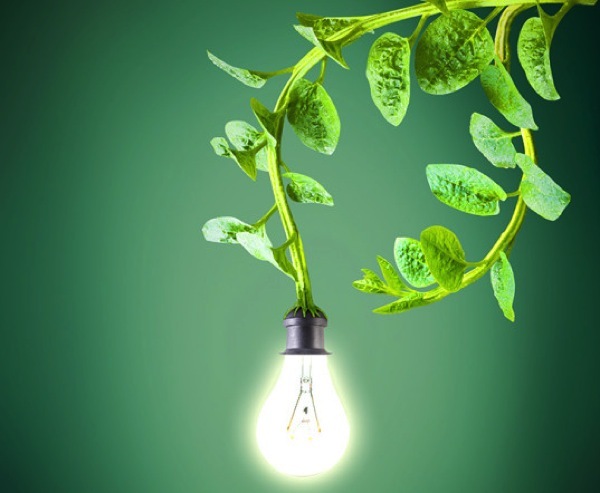 For the Netherlands streetlight projects, Plant-e’s electricity generation process involves plants growing in two-square-foot plastic containers. Plants undergo photosynthesis, essential turning solar power into sugars. As they grow, plants always produce more sugars than they need, and the excess is cast out through their roots into the surrounding soil and break down into protons and electrons. Plant-e’s system uses electrodes in the soil to await the breakdown of this plant waste, thus conducting electricity.